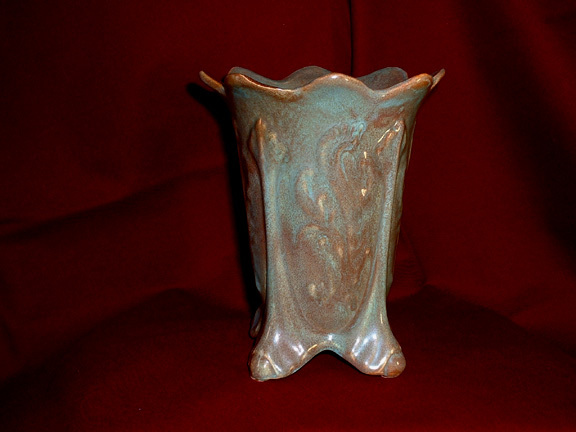 Description: Artistic Pottery Co. of California footed vase. About 1940. Brown with turquoise over drip. Organic shape. About 6 inches tall.